Emily June is an embroidery artist with a background in illustration and graphic design. She is based out of her home studio in Columbus, Ohio. Her work is inspired by nature and people. She loves to incorporate typography, color and whimsy into her designs. Emily also offers unique embroidery kits and patterns so others can learn the craft and experience the joy of embroidery! She also has a monthly program called “EJ Feels Things” where she tackles mental health topics with embroidery designs and uplifting discussion. 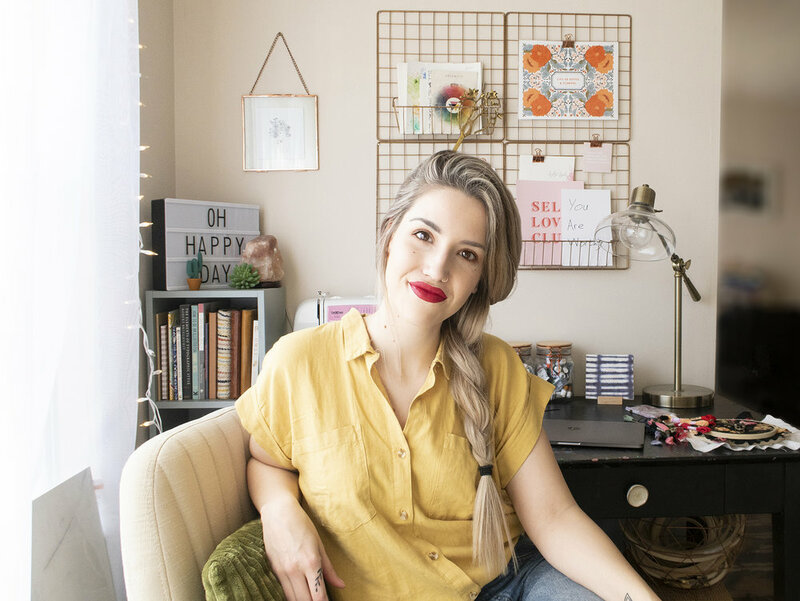 Emily June has been featured online by Michaels Stores, Brother Sewing, Honeybook, Rising Tide Society and Ohio Explored as well as other influential social media presences. You can follow along on social media here!